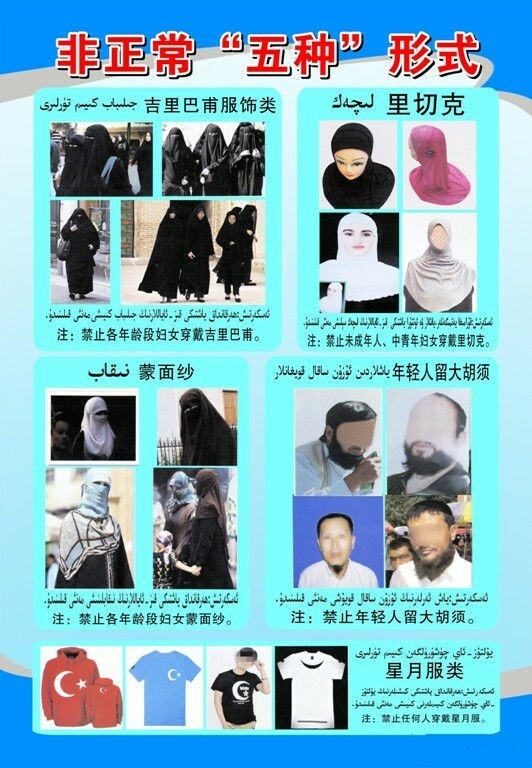 Wrapped up in anti-terrorist efforts in Xinjiang, bus passengers in Karamay are now also banned from wearing burkas, veils, head scarves, and clothing featuring the crescent moon and five-pointed star, a symbol of East Turkestan independence. The Karamay Daily reports on the ban [Chinese]. 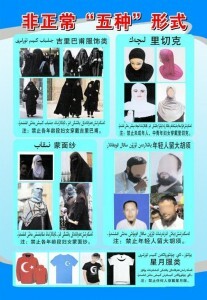 Violence took nearly 100 lives in Xinjiang last week. Since directives are sometimes communicated orally to journalists and editors, who then leak them online, the wording published here may not be exact. The date given may indicate when the directive was leaked, rather than when it was issued. CDT does its utmost to verify dates and wording, but also takes precautions to protect the source.